A weekly children's series combining original songs and stories with classic nursery rhymes and fairy tales, using 3D computer animation and live characters. The series revolves around Pigasso, a pig, and Pookie, a wolf. 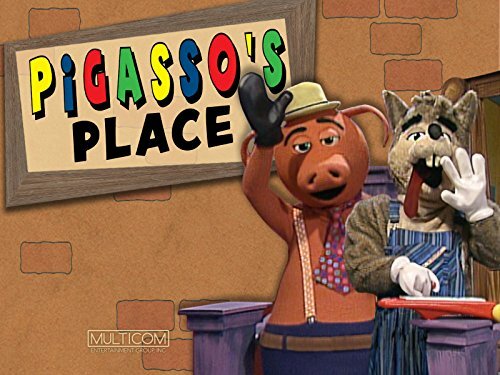 Pigasso the pig and Pookie the wolf work and play in a curio shop in a children's series that mixes animation, live-action and puppetry.